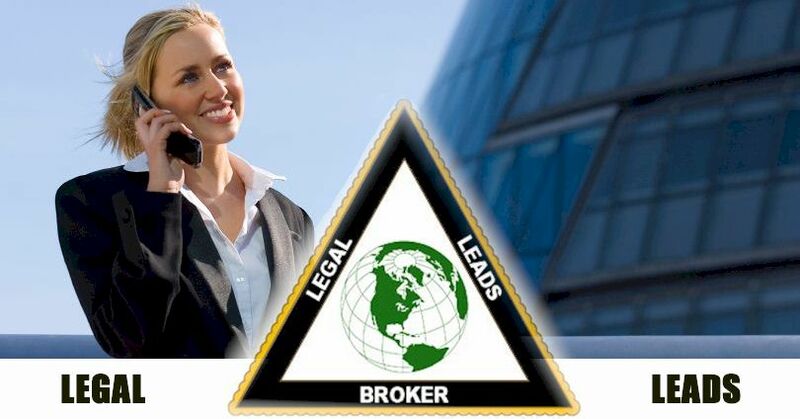 LegalLeadsBroker.com is a subsidiary of The Columbia Law List, a well established publisher and highly respected marketing company who has provided the legal and collection industries with over one hundred years of excellence in both service and support. Over the past decade, the brain trust at Columbia Financial International, Inc., (our parent company), has developed many new and diversified internet based companies which are successfully thriving today. LegalLeadsBroker.com is one of them. Our premium lead service reaches out to attorneys in virtually every part of the world. Each lead campaign is customized to our client's specifications in order to generate targeted information for in depth analysis and easier conversion to sales. Our staff and resources are geared toward one common goal, the production of exceptional results for our clients. Successful attorneys know what it takes to become successful, a prime lead source. Our lead concentration targets the legal, collection & credit industries with select categories such as bankruptcy, debt collection, debt consolidation, divorce, credit repair and personal injury. We have sub-categories of our main target areas including alimony, child support, child custody, child visitation, adoption, defective products, medical malpractice, auto accidents, accidental injury, workers comp, debt negotiation, debt mediation and others. Why use LegalLeadsBroker.com to purchase premium leads for your firm? Our organization brings to the table over one hundred years of successfully providing the legal community with premium leads that have literally produced billions of dollars in revenue for attorneys throughout the world. There are many lead generating companies out there but you need one that has established itself through decades of professional service, unbridled honesty, respect and above all, trust. Our prime objective is to not only provide your firm with the very best in quality leads but to do so in a respectful manner with the service and support that you would come to expect from an industry leader. Copyright © 2007 LegalLeadsBroker.com, Columbia Financial International, Inc.